I don’t really like paying full price for anything unless I really have to. Pretty much every purchase I make is however contributing towards savings on my next holiday. How? 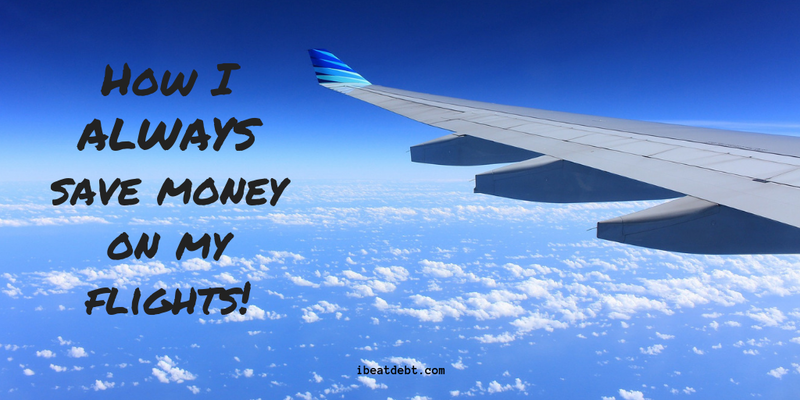 I make sure I get cheap flights! Supermarket reward cards are the best for this. I buy the vast majority of my grocery shopping and petrol from Tesco – thus earning me Clubcard Points. I also have a Tesco Clubcard Credit Card which I pay off in full every month. Although at a lower rate, you can earn points on purchases everywhere you shop (not just Tesco) as long as you spend over £8 at a time. These points soon add up. My Clubcard points are automatically set up to tick over to Virgin Atlantic Flying Club miles so I never get the clubcard points in the form of money off vouchers directly from Tesco. When I signed up for this they were running a promotion which meant that setting up the automatic process earnt you bonus miles just for that. With Tesco you can also choose your points to transfer to either Virgin Atlantic Flying Club Miles or to British Airways Avios if that is your preferred airline. As all my points go to Virgin, I cannot tell you about Avios, but I can tell you all about my experiences with my Virgin miles. I always travel with Virgin Atlantic when I travel somewhere they go, and now I have even more of a reason to stick with them – as I earn more miles when I do travel with them. There is definitely something to be said for sticking to one preferred company. Virgin also have shopping partners so by making purchases through these partners by navigating to their sites via your Flying Club Account you can earn extra miles. You can also earn extra miles when making purchases through other Virgin companies such as Virgin Holidays (even if the flights aren’t Virgin flights), Virgin Trains and Virgin Wines. A little bit short for your dream trip? You can always purchase a some extra ones too. 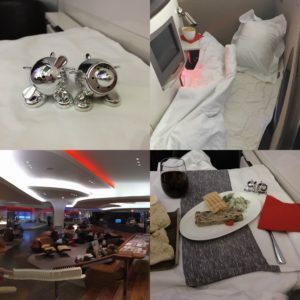 I had always dreamed of travelling in Upper Class, and last year, by doing all these methods on a regular basis, I flew to New York, Upper Class with Virgin. I blew all my airmiles in order to do this, as I had always wanted to do it – but it was worth every single mile and clubcard point! Yes I had to pay the taxes, but that was still less than I would have spent on full economy fares. It doesn’t cost you anything, and these miles might help towards your next trip. Travelling as part of a package can mean you end up paying a lot less for flights. Flying midweek can be cheaper than flying at weekends or on holidays. Be open to flying with different airlines on each direction of your journey. Layovers can save you a good chunk of money. 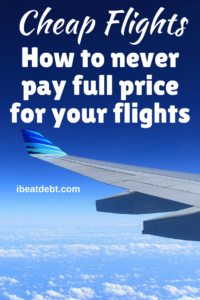 Particularly if you are travelling a long distance – it is definitely worth considering. Booking last minute can mean you snagging a bargain! An airline would rather receive a bit of money for the seat than fly with the seat empty. ← Don’t make the same leasehold mistakes I made! Hotel Reward programs are also great for stacking up extra air miles. Most enable you to earn both hotel points and miles with your preferred airline. There are even some partnerships where you can transfer some of your hotel points to your travel partner. I work for a Hilton hotel, so I have Hilton Honors, myself. 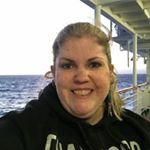 I use Amtrak as my preferred partner and I can earn points and miles from each stay, and even transfer points and miles between the two. I haven’t transferred or used any yet, but I can’t wait until I can! Good shout! I’m very jealous-I bet you get some good discounts too! I love the way that looks! I’m really jealous, but good for you! I love the salt and pepper shakers, were you allowed to keep them? Unfortunately not! 🙁 I did ask them to wake me up for every meal though in case I missed anything. I didn’t want to sleep because I didn’t want to miss out, but that bed was so nice! Lol!